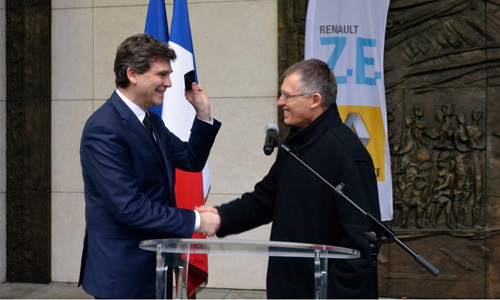 Arnaud Montebourg, Minister of Industrial Recovery, was presented today with the keys to the first ZOE in the Cour d’Honneur of the Bercy Finance Ministry by Carlos Tavares, Chief Operating Officer of the Renault group. 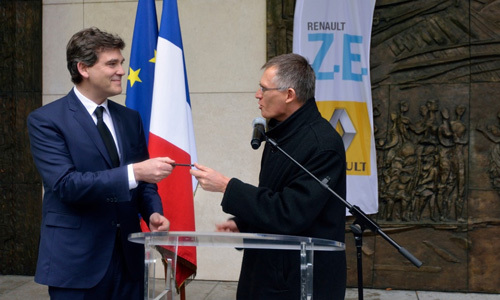 After ordering his car at the Paris Motor Show in September 2012, Arnaud Montebourg got to drive his new ZOE round the block of the Bercy Finance Ministry. 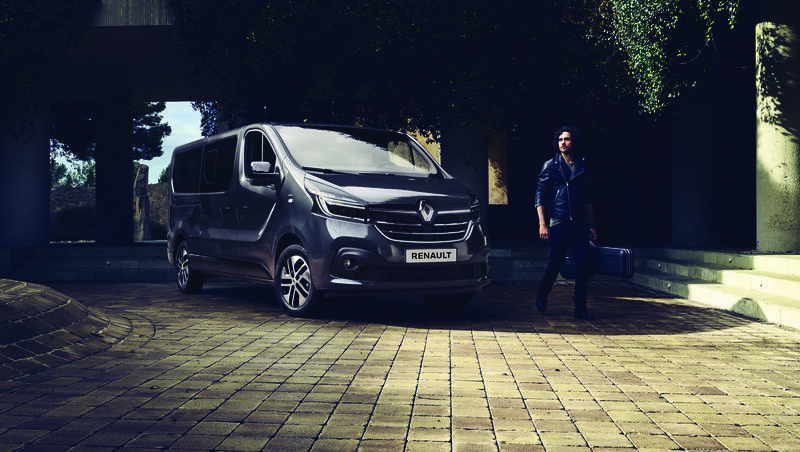 Seduced by the compact car's silence, he declared "I can't wait to drive it around Paris, and test out charging spots in the city." 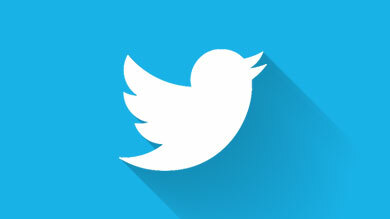 First deliveries of ZOE's will take place in 2012. 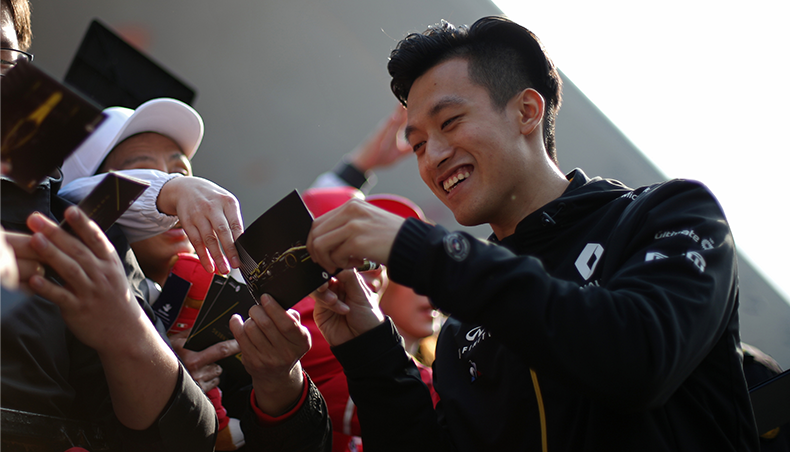 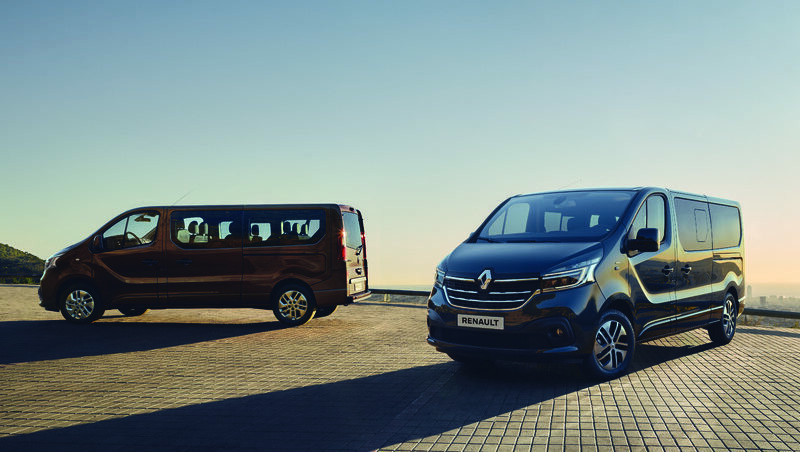 The car will then be mass-marketed in first-quarter 2013 in Renault dealerships. 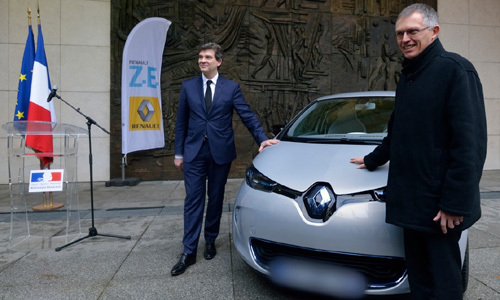 The launch will be accompanied by the widespread development of public and private charging stations with the support of the taskforce headed by Philippe Hirtzman and tasked with stimulating and backing infrastructure projects in large urban agglomerations. 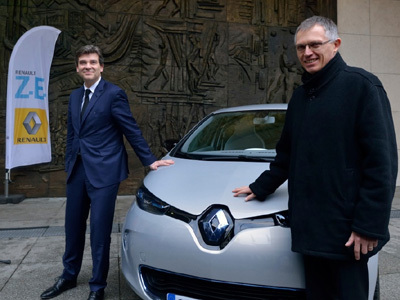 The initiative is ideally embodied in the installation by the Ministry of Industrial Recovery of charging stations at the Bercy Finance Ministry. 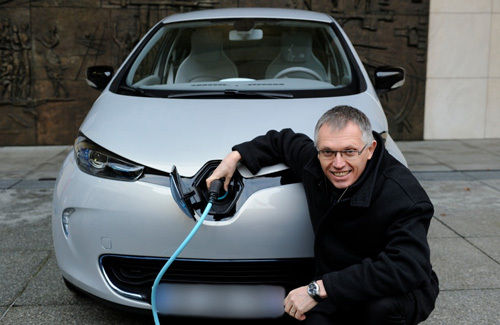 The move is part of the “Plan Automobile” announced by the French government on July 25, 2012 and providing for the installation of charging stations at government ministries and the inclusion of electric vehicles in public fleets.